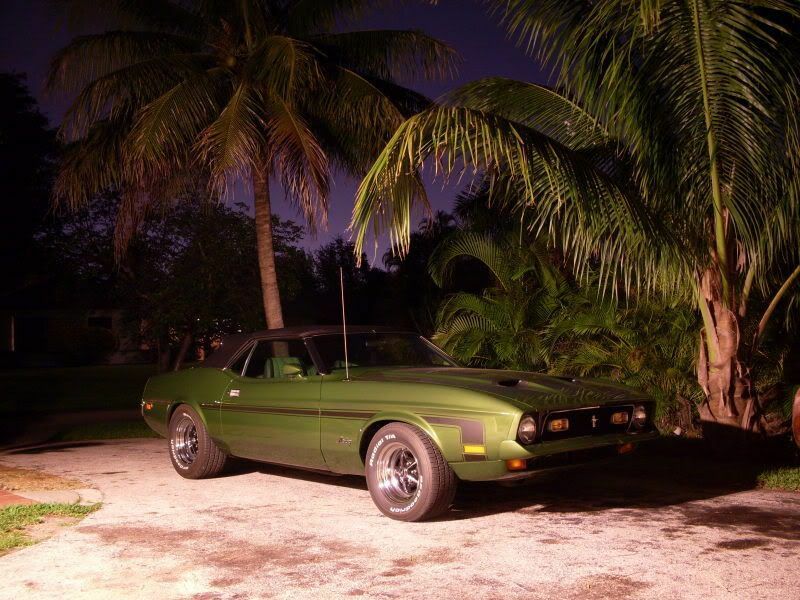 I have a 1973 Mach 1 parts car. Car was hit years ago. I am interested removing & selling only the unique parts since I prefer the 71/2's. I know the front bumper with the absorber shocks built into the frame horns, the front fenders and the rear tail lights are all different but what else? Oh yeah - the rear bumper is different - one of the bumperettes (vertical pieces) are salvageable. And what is the best way to remove the bumper/absorber assy as to not damage the shocks so that it might be usable for another car? The car is a Windsor/FMX car. Hit hard in back. Many of the parts are already gone - factory tach & gauges, ram air hood. I'll try and get some pics posted asap to help show what is left. I know it is early but I hope everyone has a safe Easter weekend! Pics should definitely help. Hope you have a great Easter as well. I believe the only year that came with the rear bumper filler/gravel guard. Also believe that today's rear panel repops come with the holes already drilled for this filler panel. The fenders at the bumper are different for the use of the urethane setup , the running pony in the Mach1 grille is smaller a tad and will not work on the 71-72 cars. The tailights have bright trim rather than black, the grill lights / parking lights are sitting rather than laying down. The hockey stick stripe is only correct on the convertible 73 the wider flat black stripes are unique on the 73. I am sure some emission stuff is different as well that was the oil embargo year.. The shocks for the bumper just bolt to the frame rails with 2 bolts on each side. Use plenty of pb blaster and a long handle breaker bar to remove them. The nut is welded to the inside of the frame so you shouldn't have to worry about holding on to it. The front fender / rear quarter end caps are 73 only Items. The car is not stored at my house so it might be next weekend before I can get some pics posted. From what I remember - the front bumper (and assy) is decent. Most of the motor/underhood parts are available. After posting - I have learned the error of my ways. I should have been more prepared for the response. ----------take lots of pictures----VERY IMPORTANT. Try to identify all you see in usable condition that you are willing to sell. If possible, pull all you want to keep first. Wow what an amazing group of folks on here! Thanks!